After the polls closed in California’s 39th congressional district Republican Young Kim was declared the winner by almost all media outlets given her lead of nearly 4000 votes. The victory was cited as a historical one given Kim would be the first Korean woman elected to the U.S. Congress. Ah, but then more ballots were discovered that inexplicably and overwhelmingly favored her Democrat opponent, Those ballots were processed and Kim’s lead was slashed from more than 4000 to just over 700 in a matter of a few days. On Tuesday, Republican candidate Young Kim saw her lead over Democrat Gil Cisneros narrow to just 711 votes from 1, 957 on Monday as the mail-in ballots counted after Election Day have leaned heavily in Cisneros’ favor. Kim, a former state assemblywoman aide to outgoing Rep. Ed Royce, led by nearly 4,000 votes when the polls closed on Nov. 6th. After initially accusing the Cisneros campaign of being “rebuked” by the Los Angeles Registrar and County Clerk’s offices for alleged ballot tampering on Sunday, the Kim campaign took the allegations a step further after Cisneros gained more ground on Monday. 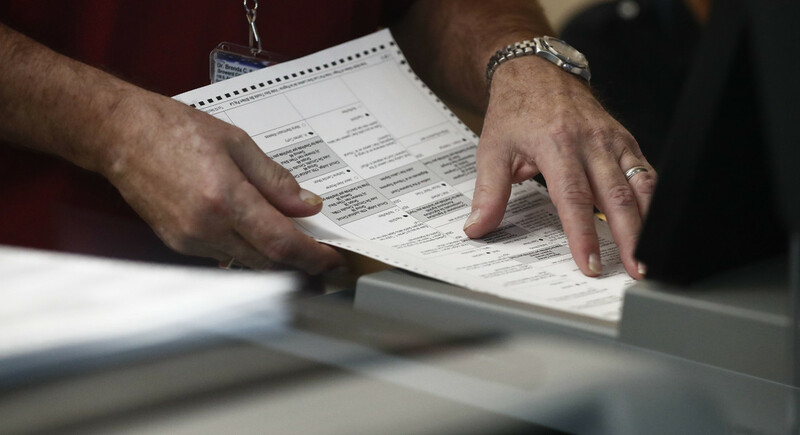 Accusations of voter fraud and disagreements over procedures for counting overseas and provisional ballots have been an issue in a number of 2018 midterm races, including the recounts of the gubernatorial and Senate races in Florida. Voter fraud is real, it is happening, and by allowing it to continue, it is violating the sanctity of the “one citizen one vote” rule that has long kept this nation intact. As stories of vote count irregularities multiply at levels never before seen, more and more rightly fear 2018 was merely a warmup for even more rampant voter theft come 2020. Even Texas is on the brink as tens of thousands of illegals pour into that state’s southern border every month as local Democrat party machines then work to ensure they are able to vote. Texas nearly went blue in 2018. Democrats are more determined now than ever to do whatever it takes to make that happen in 2020 and if they do, a Republican will never win another national election in this country again. Texas has long been the electoral guardian at the gate. That gate is now under attack like never before and on the brink of cracking open. God help us if it does. Russia was nowhere close to ‘stealing’ any U.S. election. The far greater threat has always been illegal vote rigging. President Trump penned a direct message to the voters of America this morning. These things didn’t happen by accident. They happened because Republicans are putting American workers and families first. To reclaim America’s competitive edge, Republicans passed the largest package of tax cuts and reforms in American history. In addition to saving the average family $2,000 per year, our tax cuts kicked off a growth boom as businesses expanded and hundreds of billions of dollars in foreign profits flooded back into our country. By doubling the child tax credit, providing a $500 tax credit for non-child dependents, and lowering tax rates, Republicans delivered the tax relief that working families need and deserve. Republicans have waged the largest regulatory reduction campaign in our history – eliminating unnecessary regulation after unnecessary regulation that killed jobs and drove businesses overseas. We have unleashed American energy resources. We ended ObamaCare’s punitive individual mandate and created new, affordable health-care options with lower premiums for families and businesses. And we are fixing broken trade deals and cracking down on foreign trading abuses that have, for decades, plundered America’s wealth. Democrats adamantly, aggressively and hysterically opposed every one of these policies. The top Democrat in Congress even predicted our tax cuts would lead to “Armageddon.” But here we are, two years later, and America has never been more prosperous or more optimistic. If House Minority Leader Nancy Pelosi, D-Calif., and Senate Minority Leader Chuck Schumer, D-N.Y., take control of Congress, they will drag America back into the economic abyss we struggled so hard to climb out of. The Democrats have promised to raise taxes, restore job-killing regulations, restrict American energy production, and impose socialism through a government takeover of your health care that would bankrupt our country with a $32 trillion price tag. We have already tried the Democratic way – and it produced the worst so-called economic recovery on record. Why would we ever go back? Instead, I am asking you to vote for a Republican House, a Republican Senate, and Republican governors so we can continue the incredible economic success that families across the nation are now enjoying. America’s red-hot economy is the envy of the world, and it is only getting stronger every day. A strong jobs economy helps working Americans lift up the people they love: children, parents, friends, and neighbors. A strong jobs economy also means that our government can protect the American people with the strongest military in the world, protect Medicare and Social Security for our great seniors, protect Americans with pre-existing conditions, and protect our borders. With your vote for Republican candidates, we can keep our economy growing and our nation on the right track. With your vote, we will keep lifting millions of our citizens from welfare to work, dependence to independence, and poverty to prosperity. And together, we will build a future of safety, security, prosperity, and freedom for all our citizens. Show anyone who says Facebook was not working hand-in-hand with the Obama campaigns in 2008 and 2012 (and the Clinton campaign in 2016) this video. This week’s Senate and House hearings on Facebook are a hoax meant not to restrict Facebook, but rather to restrict free speech. The Deep State wants more control over all social media platforms – not less. Watch for even more crackdowns against non-Establishment media sources to follow. House Speaker Nancy Pelosi Part II? As outlandish as that might have seemed just a year ago there are growing whispers throughout D.C. that such a scenario is far more likely now as the 2018 Midterm Election cycle looms. Chief among those who are working to make that happen is billionaire financier and political buyer of all things globalist, George Soros. The money-game is a two-edged sword for the GOP Establishment who is now starting to complain about fundraising woes. Soros and his deep-pocket globalist cohorts are set to push hundreds of millions of dollars into the 2018 Midterms while millions of Trump supporters have grown disenchanted with a Republican-controlled Congress that has repeatedly blocked the Trump agenda. 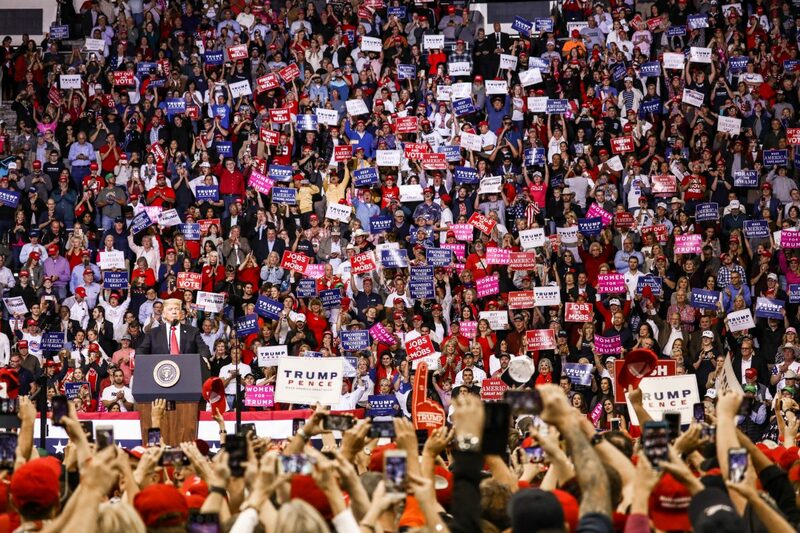 It is a condition that has led to the rise of the term “Trumplicans” – voters who remain firmly on the side of the President while casting an increasingly wary eye toward both political parties. The Soros story is particularly telling. $18 billion is a LOT of payola. Rumors are rampant the 87-year-old Mr. Soros is eyeing 2018 as possibly his final big push to personally help to shift the world’s international leanings to the far left. The 2018 Midterms would here in America are now target #1 to make that happen.